The Việt Nam-Japan U13 international football tournament will kick off on December 14-16 in the southern province of Bình Dương. 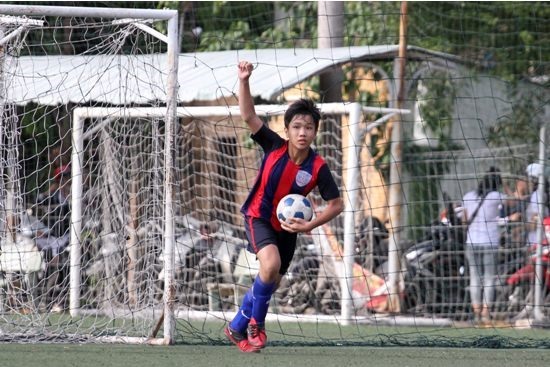 The event is set to feature four Vietnamese teams and four Japanese teams including Kawasaki Frontale, Kawasaki, Tokyu Reyes and Hokkaido Consadole Sapporo. The event aims to celebrate the 45th anniversary of Việt Nam-Japan diplomatic relations. The event is being run by the provincial People’s Committee and Embassy of Japan, Kawasaki Frontale Club of Japan and Việt Nam’s Becamex Bình Dương Club. Following the event, the organising board will select the 11 best Vietnamese players to compete with best line-up of Japan.